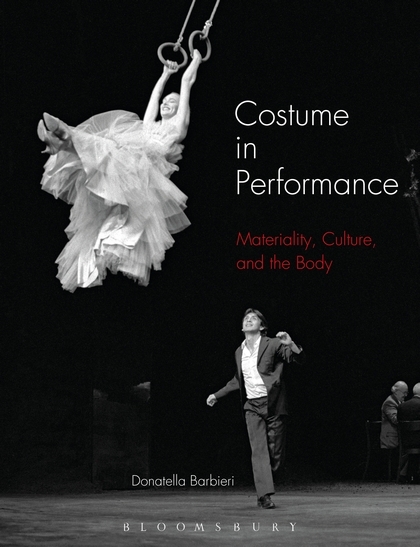 This beautifully illustrated book by Donatella Barbieri conveys the centrality of costume to live performance. Finding associations between contemporary practices and historical manifestations, costume is explored in six thematic chapters, examining the transformative ritual of costuming; choruses as reflective of society; the grotesque, transgressive costume; the female sublime as emancipation; costume as sculptural art in motion; and the here-and-now as history. Viewing the material costume as a crucial aspect in the preparation, presentation and reception of live performance, the book brings together costumed performances through history. These range from ancient Greece to modern experimental productions, from medieval theatre to modernist dance, from the ‘fashion plays’ to contemporary Shakespeare, marking developments in both culture and performance. Revealing the relationship between dress, the body and human existence, and acknowledging a global as well as an Anglo and Eurocentric perspective, this book shows costume’s ability to cross both geographical and disciplinary borders. Through it, we come to question the extent to which the material costume actually co-authors the performance itself, speaking of embodied histories, states of being and never-before imagined futures, which come to life in the temporary space of the performance. Donatella Barbieri is Senior Research Fellow in Design for Performance at London College of Fashion, UK, and, previously, at the Victoria and Albert Museum, UK. With contributions from Melissa Trimingham, Senior Lecturer in Drama at the University of Kent, UK.